"I want to thank you for the training New Horizons Computer Learning Center has provided the Information Service’s Network Operation Center (NOC) of Loma Linda University Medical Center. The team will use the training to accomplish the goal of becoming Microsoft Certified Professionals. This is the first training effort, in partnering with your company, that will be used by the NOC to increase its ability to identify and bring resolution to issues in the hospital’s IT infrastructure that could interfere with the delivery of patient care. I anticipate this being a long and beneficial relationship for us both." Network Operations Center – I. S. Dept. "I just accepted an offer from CACI International Inc., a government contractor, as a web developer working at March ARB! I have to pass the usual employment drug tests and background check, and obtain a security clearance, and all that is in progress. I am practicing the phrase, "I'm sorry, but that information is confidential." Ha ha ha!!! They have matched my ending salary at my last company (with a slight increase.) I have to say that the deciding factor at my interview was my knowledge of the MVC design pattern, and its application specifically by Microsoft. The hiring panel was impressed by my ability to white board a business solution and defend it, and I would not have had that without the New Horizons courses. I am still in progress with the self-study courses. I have spent a lot of time re-watching the online classes and learning about complementary topics on my own based on the instructor recommendations. There are some areas I am not confident in yet, but I will soon be ready to begin test preparation activities." "I sent my inside and outside sales teams to New Horizons for excel training. We're on 2010 and it's made a huge difference. Another thing that was night and day difference is the two monitors at the center where we took our training. Everyone agreed they would be more productive after the training and we convinced our IT team to get us dual monitors. We've completed level 1 so far and are heading on to level 2 and 3 in 2016." We offer hundreds of course starting each week to accommodate your learning and development needs. Here are some of our post popular San Bernardino based courses or browse all training offerings here. Drive straight onto Carnegie Dr. Turn right onto Waterman Ave.
Guaranteed to Run (G2R): Courses in San Bernardino are what we call, Guaranteed to Run or G2R. For you, that means once you are enrolled, the course will not be cancelled and your training plans are safe. Hosted Distance Learning (HDL): HDL is perfect for students who want no distractions from their home or work office during their training in our San Bernardino training center, and the benefits of our center amenities in Anaheim. Dedicated or Onsite Training: Perfect for a group of students from the same organization, let our instructors come to you Onsite at your facility or retreat from the office into our San Bernardino training location for a company wide training. Room Rentals: San Bernardino has a number of work spaces and classrooms that can cater specifically to your needs. Three classrooms equipped with Dell 17" dual monitor computers, up to 8Gbs RAM, & 1280x1024 max monitor resolution. Click Here to Rent a Classroom in San Bernardino. San Bernardino International Airport IATA: SBD, ICAO: KSBD, FAA LID: SBD, initialism: SBIA is a public airport located less than two miles southeast of the city center of San Bernardino, California, in San Bernardino County, California, USA. The airport covers 1,329 acres and has one runway. Ontario International Airport is a public airport two miles east of downtown Ontario, a city in San Bernardino County, California, US, about 38 miles east of Downtown Los Angeles. 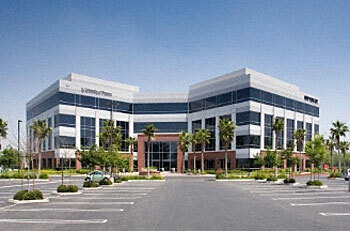 It is currently owned and operated under a joint powers agreement with the city of Ontario and San Bernardino County.